There’s a lot to love about Bardstown, Kentucky. Some come for the history, some come for the ghostly legends, but many come for the Bourbon. Known as The Bourbon Capital of the World®, this quintessentially Southern spirit has been crafted in Bardstown since 1776, and today the town is home to a distinguished collection of industry-leading distilleries. But there’s more to Bardstown than just Bourbon! 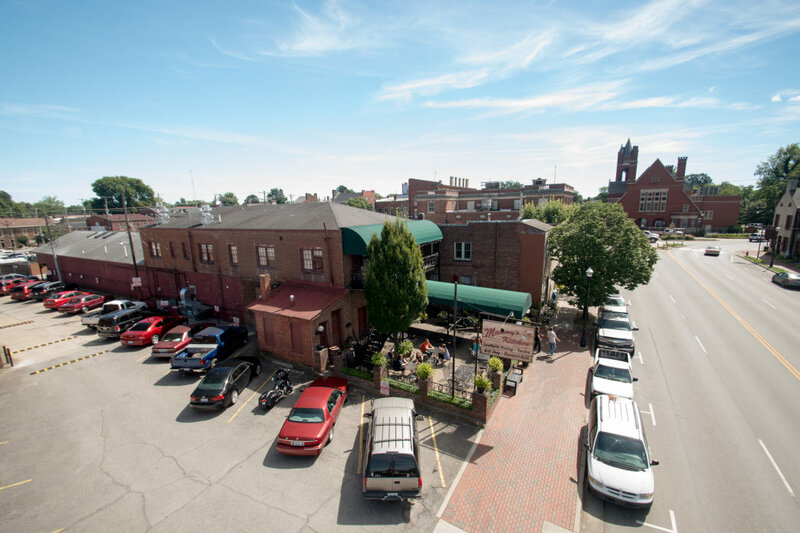 Founded in the 1780s, Bardstown’s picturesque downtown will make you feel like you’ve traveled back in time. It also has a vibrant food scene, which acts as a perfect complement to the silky smooth whiskey the town is known for producing. With a little bit of everything from gourmet restaurants to downhome joints serving classic Southern comfort food, there’s a lot of gastronomic ground to cover in Bardstown, so here’s our guide to some of the best local indulgences. Heaven Hill is one of the biggest distilleries in the entire state. More than 80 percent of the world’s Bourbon is produced in Kentucky, and you’ll find several of the state’s most distinguished distilleries right here in Bardstown. 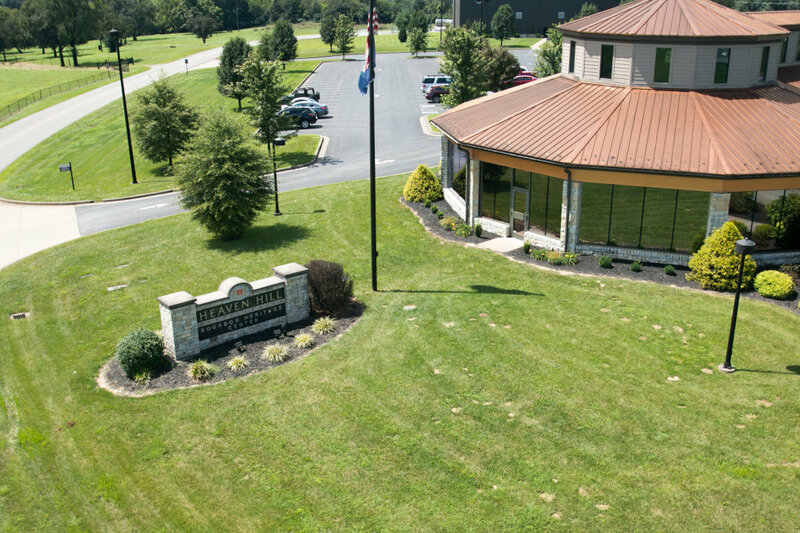 Established in 1879, Barton 1792 is the oldest operational distillery in Bardstown. 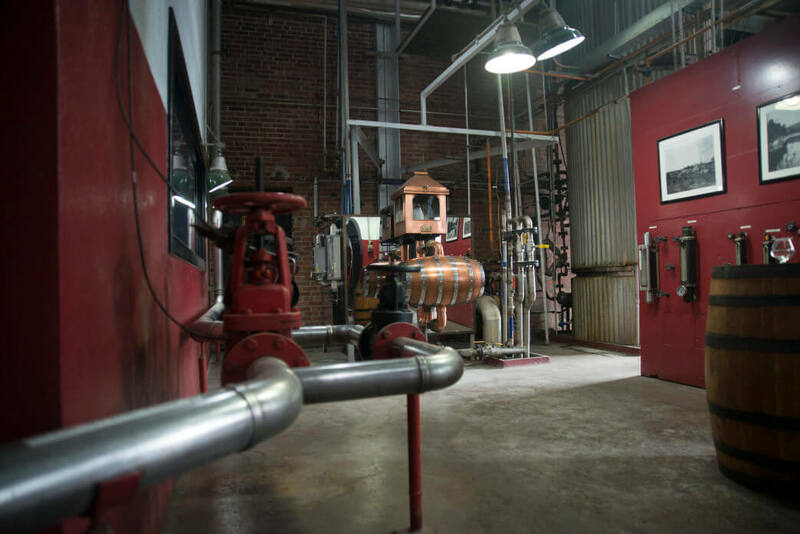 Barton 1792 still crafts its Bourbon using water from a spring located on the 192-acre grounds. There are three different types of tours for visitors. All three are complimentary and all three include tastings! Another mainstay in Bardstown is Heaven Hill, where they’ve been “Lifting America’s Spirit Since 1935™”. As the largest independent, family-owned and operated producer of distilled spirits in the country, Heaven Hill is responsible for many popular whiskey labels, including Evan Williams, Larceny, and Elijah Craig. Heaven Hill’s Bardstown location is also home to the Bourbon Heritage Center, treating guests to an exploration of the history of Kentucky’s trademark spirit and the ins-and-outs of production. Tours end with an educational tasting at a bar housed inside a giant barrel. The Willett Distillery is another of Bardstown’s long-standing Bourbon producers. Family-operated since 1936, the Willett Distillery features over a dozen different tour and tasting experiences, including access to specialty products like the elegant Willett Pot Still Reserve. Designed especially for small-batch Bourbon enthusiasts, Willett offers tours of their 120-acre property year round. If you’d like to really go for the full Bourbon Tourism experience in Bardstown, be sure to visit all the other amazing distillery experiences in the area, including Maker’s Mark, Jim Beam American Stillhouse, and the Four Roses Cox’s Creek Warehouse & Bottling Facility. Bourbon isn’t the only spirits game in Bardstown, though. The surrounding countryside is graced with a couple of quaint wineries that cater to a wide variety of palates. The second of the two includes McIntyre Winery & Berries who produce fruit wines made from their freshly grown blueberries and blackberries, creating both dry and sweet wines. During harvest season, visitors are also invited to pick their own berries. For the traditionalists visiting Bardstown, the elegant Springhill Winery & Plantation Bed and Breakfast is another fantastic stop. Housed on the grounds of an antebellum plantation dating back to the mid-19th century, Springhill Winery produces a handful of French-inspired wines, including two Cabernets, a Chambourcin, and a Chardonnay. 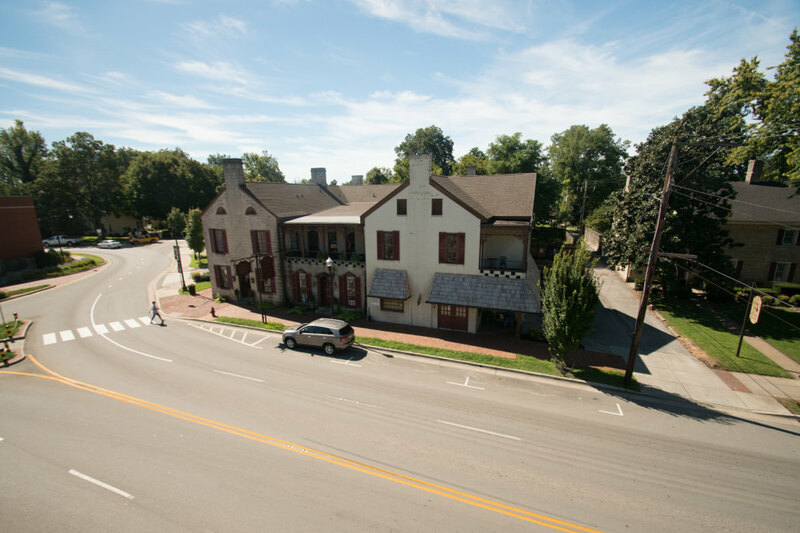 Old Talbott Tavern has a storied history in Bardstown. Not surprisingly, Bardstown’s most celebrated spirit has also shaped the local culinary landscape, making for highly unique (and often Bourbon-drenched) dining experiences. Dating back to 1779, Old Talbott Tavern is among Bardstown’s most intriguing eateries. One of the oldest former stagecoach stops in the country, the tavern has welcomed the likes of Daniel Boone, Jesse James, French king Louis Phillippe, and Abraham Lincoln. Bourbon enthusiasts who visit will enjoy a one-of-a-kind menu, specializing in whiskey-infused dishes (one of our favorites is the walnut-encrusted chicken served with a signature Bourbon sauce). Another of Bardstown’s Bourbon-inspired eateries is The Rickhouse Restaurant and Lounge. This fine dining establishment and effortlessly classy bar are located below the famed Oscar Getz Museum of Whiskey History and offers satisfying options for both dining and imbibing. The menu features choices like pan-seared salmon topped with blueberry-Bourbon barbecue sauce and an 11-cheese macaroni that truly melts in your mouth, and they boast a Bourbon roster with over 150 selections. Then there’s the incredible Bottle & Bond Kitchen and Bar in the beautiful Bardstown Bourbon Company campus. A full-service restaurant and bar located in a working distillery, Bottle & Bond offers expertly crafted cocktails and superb food in a stunning setting. Make sure you make reservations! Mammy’s Kitchen is just one of the local favorites for grabbing a bite to eat. Bardstown also has plenty of options for old-fashioned Southern classics. For starters, there’s Kurtz Restaurant, where they’ve been dishing up home-cooked, skillet-fried staples since 1937. Rumor has it that Kurtz also serves the best skillet-fried chicken in the Bluegrass State! Or opt for a hefty spread at Mammy’s Kitchen, located in the heart of downtown Bardstown. Mammy’s is the place to go to enjoy a relaxed atmosphere, specializing in flavorful plates. If you want to eat like a local, look no further than their Bourbon pork chops. Bardstown’s foremost food and drinks festival is the Kentucky Bourbon Festival. For more than 25 years, Bardstown has played host to the Bourbon industry’s signature celebration held in September every year. The Kentucky Bourbon Festival is one of the Commonwealth’s leading community festivals and has been nationally recognized for saluting the storied history of Kentucky’s most renowned industry. It features once in a lifetime tastings with Master Distillers, a healthy dose of Bluegrass culture, and more artists, musicians, vendors, and volunteers than anyone can count. Festivalgoers should also check out the Bardstown Craft Beer Fest held in late October. The Beer Fest features more than 50 beers, food by the Harrison-Smith House, and traditional Kentucky Bluegrass tunes courtesy of the Hogslop String Band. If you love food and Bourbon, look no further than Bardstown, Kentucky. With so much to do (and taste!) it’s almost impossible to see it all in one trip, so pick a few of your favorites from this guide and start planning your first trip today.